Dana is a native Kansan who has operated a small business for over 15 years and has also worked in nonprofit fundraising for 15 years. She has been fortunate to experience the ups and downs of business from very different perspectives. Dana has a passion for making a difference in the world and know it comes from her love of her pets, friends, and home. 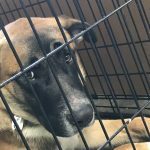 These are the reasons she believes it is very important to spend time volunteering to make a difference in the lives of people and their pets. 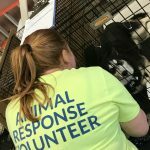 She has volunteered for animal response for 6 years and believes this work can make a difference in the lives of pets whose families are left in a bind from a disaster. 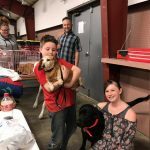 Dana plans to continue to work hard to make Kansas communities better prepared for disasters and support the future of families and their pets. Dana is a proud dog mom to three beautiful, and sometimes challenging, Newfoundland dogs; Lola, Finn, and Merle.